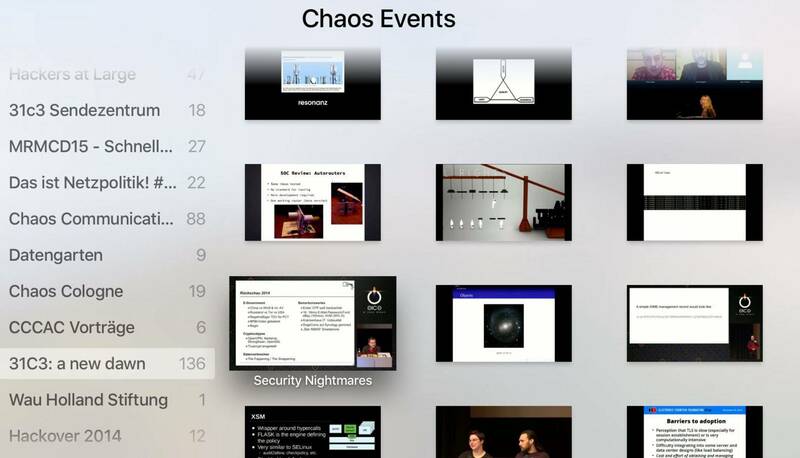 The Chaos Computer Club is claiming that Apple has rejected an app that would stream security talks from its Chaos Communications Congress event because researchers there have previously hacked iOS. The Congress is Europe's largest hacker confab, regularly attracts more than 10,000 delegates and has run for 31 years. The event is home to some of the industry's most innovative hacking research, along with talks on sociology, politics, and science. The Frankfurt wing of the Chaos Communications Club, which organises the congress, said Apple rejected its streaming video app from the App Store because previous conference research talks had addressed hacking iOS. The group says Cupertino banned the Apple TV app described by one organiser as "Netflix for the conference", under section 3.2 (e) of its developer agreement (PDF). You will not, through use of the Apple Software, Apple-issued certificates, services or otherwise, create any Covered Product or other code or program that would disable, hack or otherwise interfere with the Security Solution, or any security, digital signing, digital rights management, verification or authentication mechanisms implemented in or by iOS, the Apple Software, or any services, or other Apple software or technology, or enable others to do so. The ban if accurate is odd; the conference live streams are available on the official website and are broadcast on YouTube, all of which can be accessed through App Store apps like YouTube and browsers. What could have been: The banned app.